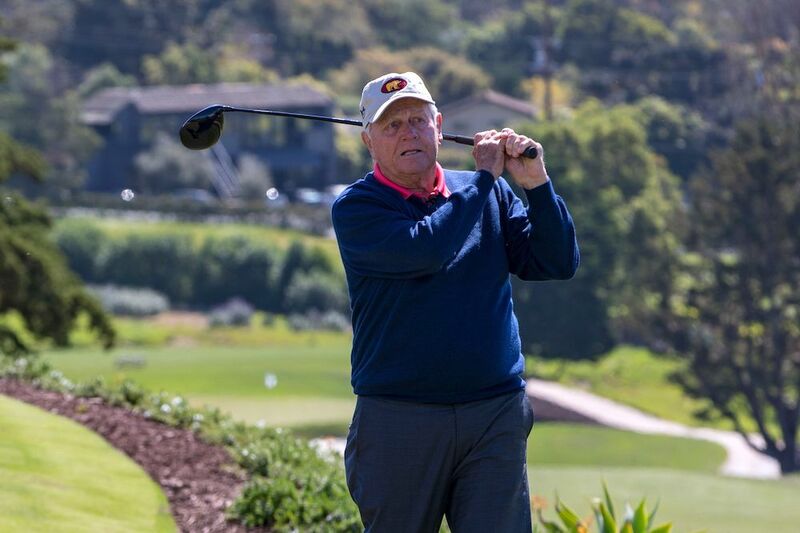 Golf legend Jack Nicklaus was on hand to help celebrate Saturday’s official opening of the golf course he designed at the reopened Montecito Club. The 18-hole, par-71 Jack Nicklaus Signature Course is a 6,540-yard layout that features amazing views of the Pacific Ocean and the Santa Ynez Mountains. Nicklaus’ company, Nicklaus Design, has designed hundreds of golf courses in 45 countries. Nicklaus, who holds the record of winning 18 of golf’s major tournaments, sat down with veteran sportscaster Jim Gray for a Q&A session with club members before going out on the course to hit a ceremonial first tee shot. The private Montecito Club, formerly known as Montecito Country Club, reopened Friday after a major renovation project that took more than three years. The 101-year-old club at 920 Summit Road is owned by Santa Barbara hotelier and Beanie Baby manufacturer Ty Warner. “My goal was to create the best country club in the world,” Warner said in a statement. “The Montecito Club honors the legacy of the property and the game of golf while imparting a new, luxury standard that caters to multigenerations. — Noozhawk sports editor Barry Punzal can be reached at bpunzal@noozhawk.com. Follow Noozhawk Sports on Twitter: @NoozhawkSports. Connect with Noozhawk on Facebook.